Rebecca Keller started Excavating History with site-specific interventions in an anatomy theatre in Estonia in 2006. Her method has since become a course, a collective, and a series of exhibitions in historic sites in the United States and Europe. This book documents and expands on her pedagogical approaches, including numerous works from her student collaborators, and a section with advice for educators and potential excavators who want to pursue projects of their own. Excavating History as a project unfolds and liberates from dust the stories of our past so they can vibrate in the present moment. The practice that Rebecca Keller, her students, and affiliated artists are together refining and developing — that of interpreting the interpretations — creates a double hinge that opens out into imaginative and fictional spaces, even as the artists choose to navigate the material constraints of sanctioned historic sites. This book provides a crucial link between these projects, each one intense and specific. Excavating History challenges revered assumptions about the role of history in contemporary life and how its public value is created. 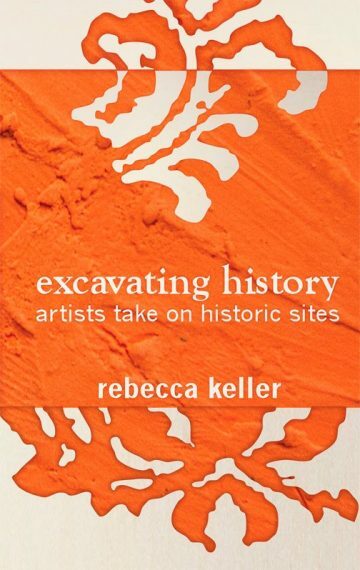 Through compelling case studies that embody the concept of excavating as both metaphor and methodology, Keller shows that artists unique training in visual culture allows them to illuminate and interpret the multiple layers of evidence that historic sites often ignore, hide, or simply don’t see. Excavating History is not only an insightful meditation on the intersection of art and history but also a clear call for archivists, historians, and curators to partner with artists to harness the power of history. Throughout these essays, there is a moral passion that ignites our collective imaginations about truth in history and the history of truth. For anyone who cares about whose stories get told and whose are left out and censored read his book — you will be left reeling, provoked, intellectually challenged and inspired.